Wonders of this nature will never fail to amaze us. But a larger part of the world doesn’t understand the real beauty happening in the present. We, the living beings, are an absolute example of the excellence of nature. And getting into a focused detail of this very human evolution, we can find a million activities happening in our bodies. The immune system, for its whole evolution, execution, we can only take our hats off to the marvel, i.e., the creator. The structure and constituents of the immune system are astounding in any way we see it. 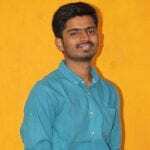 The skirmish that is carried out by the elements of the immune system will be even more surprising to us if you are seeing our body as a casual happening till now. We have tried to enlist a few methods to protect and boost immune system in natural ways here. Before that, let us know a pinch of its excellence to feel the importance of boosting it. The food and the bacteria. Both are quite interrelated as far as an immune system specialist sees through the body. We eat bacteria to become resistive towards the bacterial attack. How far can we survive being in the midst of filthy stuff? Pollution, lost hygiene of food, weakened skeletal system due to lack of physical activity and so many other factors will always continue to disrupt our lives in every which way they can. But how do we protect ourselves when we can’t even withstand one bite of a mosquito? But there’s life’s own way of fighting it back! 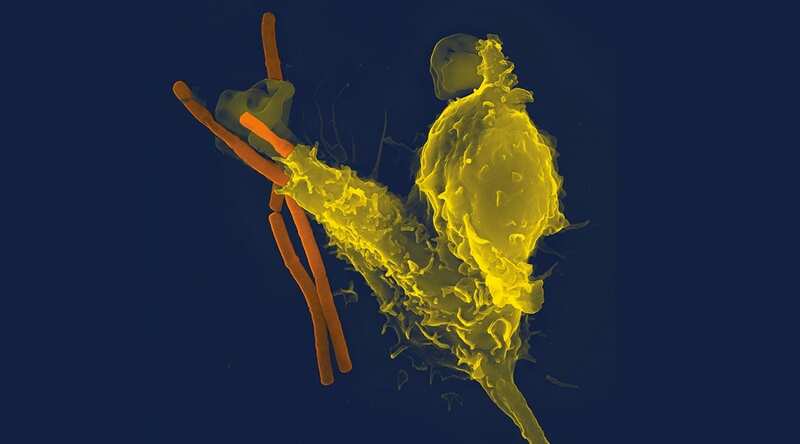 The immune system is its army. Let us understand it with a different approach and also know how to boost immune system in the best natural ways at home. Are you that believer of ‘5-Second Rule’ about any food falling on the floor? 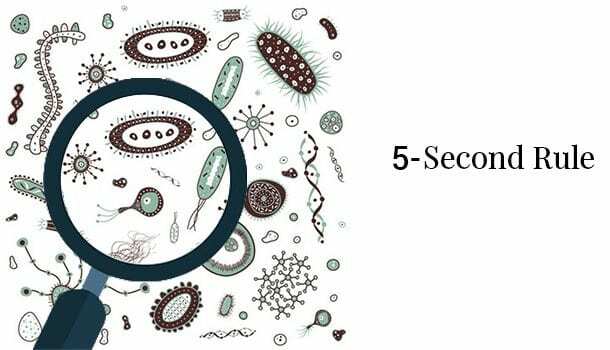 The food fallen on the ground may get attacked by the bacteria in 5 seconds of time. This is what people had the notion about bacteria till recent days. It would have been correct if the 5 seconds is replaced with 0.12 picoseconds, and I’m not kidding! Bacteria doesn’t take any time to reach out to spaces. Then what is our choice to be safer? How well is it safe to have food open as the air may also allow the bacteria to pass on? Yes, it is quite unsafe to be too careless towards the food items. But, the giant strength is there in our bodies which can throw out millions of minor elements. That is the Immune Strength of the Body. We can get through this wall of fire only if we are abundantly rich in immune strength. However problematic is the situation with infectious organisms surrounding us, we can resolve them with strong defense mechanism if we dedicate ourselves to the process of improving them. The one who does a more physical activity can retain the resilience of the body. This will improve his ability to sustain physical damages and stressful working hours without much effort. This is called better immunity in a way. The one who can stay strong with street food and unhygienic food, he can be called stronger in terms of immunity. This might be because of their habituation with the robust food for many years. The one who meditates regularly can withstand any disruption in the life in psychological, mental, physical, and theological aspects. The one who can think more positively(practically at the same time) towards life and the things around him/her can be stronger in all tough and/or tempting situations irrespective of his state of mind. This would be called a greatly stronger immunity in my view. All these examples are completely from different approaches which doesn’t have much to do with the body’s regular immune system. I’ve just listed them in quite an analytical way so that the concept of practising boost immune system gets into your hearts well. To boost immune system, we have proven methods in dietary space. Initially, let us study an extended view over immune boosting foods along with their characteristics regarding strengthening the body. This list of foods to boost immune system helps you refrain from searching all around. Get this list from the store and have them by trying newer recipes every day. To suggest foods that boost immune system, we can form a long list that may never end. To resolve this, include every anti-inflammatory, antiseptic, antiviral, antibacterial food in your diet. These few foods do not confine every nutrient required for the body. But having these limited foods can get you out of most of the ailments at the initial stages. From being a sweet-loving child, you might have been hating the flavors of spices at your home. But if it had been made for you to eat every kind of taste, your most favorite would be raw garlic cloves and ginger chutney. Their addictive flavor makes us include them in every food we eat. The medicinal properties of ginger can attack viruses, fungus, and bacteria very effectively. 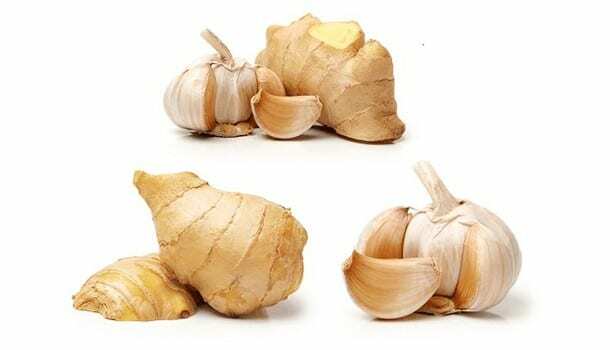 Viruses in respiratory system are defended by ginger. Nausea Treatment with ginger is quite effective. Have garlic cloves daily. It does never show an ill-effect. Eating a couple of garlic cloves daily will add potential antimicrobial properties, antiviral, and anti-inflammatory properties to the body. 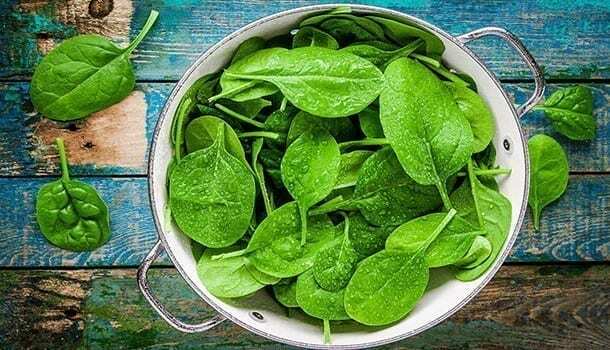 The nutritional abundance of spinach makes it one of the top foods for boosting immune system. Spinach is known for the abundant Vitamin C content. The beta-carotene, antioxidant content make it more reliable for everyone who is weak in defense mechanism. Almonds, and other seeds like cashew, peanuts have abundant vitamin strength which can greatly enhance your digestion and metabolism. 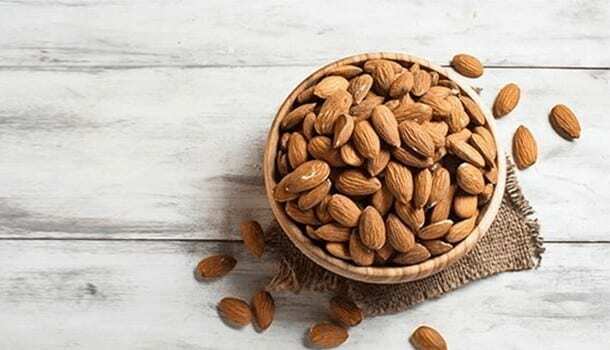 Almond has rich vitamin E, which is an easily digestible food that makes your metabolic activities quicker and easier. With effective metabolism, the process of boosting immune system becomes effortless. This is the major advantage of nutritional foods for immune system. Try different recipes with almonds like almond milk, sweets with almond, using it in dishes, etc. It will create some excitement rather than having soaked raw almonds regularly. Consuming tea multiple times a day is a common thing for few people. It has an impact on boosting immunity if the tea contents are in the proper way. The herbal material should be higher and a decaf drink works better than the caffeinated one. More than the conventional tea and coffee, we can opt black tea, green tea, oolong tea, or lemon tea, etc. They will also fulfil the nutritional requirement which helps boost immune system. This is where the core of the article is concentrated. The science behind vaccination, the help of bacteria for the humanity is exposed here. With the help of human-friendly bacteria, we can make our digestive tract, metabolic mechanisms robust. That is, we can fight the foreign bacteria with the help of this inhabited bacteria prior to the attack of foreign bacteria. The probiotics in the body create the positive atmosphere for white blood cells to get them ready for the fight. It is quite expectable that Vitamin C is the top immune boosting supplement of all vitamins. Try citrus fruits such as oranges, lemon, grapefruit, etc. Vegetables like spinach, kale, bell peppers, and broccoli are rich in vitamin C. It helps in increasing the population of white blood cells and thus the immune strength of the body. Vitamin B & Vitamin E are the other prominent vitamins that help strengthen immune system. Have more fish content to gain vitamin B and nuts and seeds for vitamin E.
With Vitamin D, the nutritional portion of the immune system becomes complete. The calcium absorption, fat reduction, skin health, and many other significant issues can be resolved if we increase the intake of Vitamin D.
It is not that other vitamins do not work to boost immune system. They play an equally important role when it comes to nourishment and metabolism. Any vitamin or supplement compromised can lead to some disease if we have poor immune power. So intake of every food is always recommended. Though both sugars and calories do different functions in the body, both come from similar sources of food. Do not neglect the calories if you are obese or overweighing. One must take the daily recommended value of every nutrient. Have sugars adequately so that you can combat the insulin resistance. But after reaching a point, they should be cut from our diet. When you readily rich in fats and calories unburnt in your body, what improvement can you have with calories and sugars and finding how to increase immunity. Before proceeding to the dietary habits, check these things about yourself. Foodies are the blessed people of the world. As they can eat vast of things, it never comes to their minds whether to eat something or not. That helps them in great nourishment. ‘How big is your diet chart’ doesn’t matter ever. Just having the quality food for your tummy with love towards it makes a more positive impact. Boost immune system with the best food you like, but not with the tasteless diet plans recommended by your dietitian/doctor. One doubt may arise in your head that how come do we love only healthy food always? But when you are a foodie, out bodies do not blindly go for every foodstuff available outside. The system is like that our body chooses to get the best-suited food for the body. It is the outcome of the evolutionary process. People have different kinds of dietary habits and follow different lifestyles depending on their interests. Most people generally follow a healthier track even though they are unaware of what they eat and do. This happens due to the instinctive capabilities of humans. Our evolution process was such that the entire life on earth could yield the circumstances to its existence in every atmosphere. But when it comes to the literal knowledge of health and foods, almost 90% of the people lack it. Though many of us keep reminding about healthy living habits and all, they themselves do not follow such habits. It is just a hormonal impact on our brains to speak something good and living out of that satisfaction. Then how do we protect our body with certainness? All we have to get is ‘literacy.’ Food-literacy is what we call it. It is the knowledge of foods which lets us understand the nourishment well and how does it impact our body conditions. Know them from the scratch to be a matured human being in terms of health and wellbeing. How to increase immunity in natural ways? The methods for how to increase immunity has multiple answers other than foods and drinks. This robust character of our body finds much easier ways if we look through it practically. Apart from dietary habits, there is a far better approach to boost immune system in our daily life. Exercising doesn’t mean working out for a great muscle or bodybuilding. Even though foods are natural immune boosters and they are the best choice to do it, the activities we do become our army when it comes to direct attack of bacteria on our body. The strength we gain from exercising can better help us fight the infections than the activity of hygienic foods. Workout for at least 20 minutes in the morning daily. It will carry out the required performances in the body to get over the laziness of tissues. We will eventually burn a significant amount of calories to create an atmosphere for active metabolism in the body. Daily exercise will improve immune system performance potentially. Taking medicines/pills for every health problem is also not safe. Once our bodies get used to having the same medicine for too long, it stops working on our body after a stage. Then the body may also not be in our hands to get treated. The only way to keep this problem away is to have a natural, organic medicine rather than synthesized chemicals. It helps us boost immune system in a unique way. Have a variety of foods when you get sick. Then you can know the joy of having so much food to eat. This also helps in refreshing our body tissues and activities on the whole. The importance of natural treatments is never an old thing to explore. It becomes newer and feels better day by day as we know the beauty of natural treatments. How are emotions connected to immunity? Does it look silly? But there is a psychological view behind this. When you have a satisfactory diet, you are not bothered by the minor issues happening on that day. And when you are disturbed, you can enjoy the food. This mutual relationship does have a definite impact on our diet and body cell condition. It may not happen to everybody on earth. But you are limited by this condition, you must ensure you have a good going of your life always. Otherwise, it can pull the screws from your basic journeys like eating, sleeping, speaking, etc. Controlling your emotions is again a mistake here. Having an idea of what you’re feeling can make you know what to do at that particular time. It is all an intuitive game when it comes to gain happiness. Go ahead with your choices, but not compulsions. Changes in lifestyle are more important if you are really turning up to boost your immune system. If you are into any of the habits of smoking, drinking alcohol, drugs, sedatives, start avoiding them. They are great barriers to healthy metabolism irrespective of the resistive power of the body. Smokers are said to be the severest victims of radioactivity on the earth. Alcohol addiction is, of course, dangerous, it also drags us down in terms of retaining the power of immunity. Not just the habits of drugs, smoking, and hygiene factors, but the lifestyle we choose also matters a lot to be with strong immune power. See to these changes in your daily life to boost immune system in an organic way. No Alcohol, Cigarette Smoking, drugs. Painkillers should not be encouraged much. Take them only when it is the only solution. Have a laughter time for yourself. Be conscious of your business, but not about your existence. Because you’re already doing the second one. Listen to music, go for a casual walk whenever you feel distressed. It works in relieving tensions and getting back to normal mood. Remember, Healthcare isn’t a responsibility. It is an approach to life in action. The header may look skeptical, but my view is something else here. Get out of the problems you are in by dealing with them smoothly. Perceive your daily activities as casual work. Feel like nothing is a burden upon you alone. All the humanity, in fact, all the life on earth is facing the problem of fulfilling the needs. Of course, humans have evolved and turned the needs into deeds. This is where the same intelligence should work. ‘Running out of problems’ means you just have to filter all the problems and make the day problem-free. Running out of a thing may bother us, but running out of problems creates the opportunity to gain more than the regularity. A lot of motivation, isn’t it? Skip this if it’s boring, but it is always worth knowing everything about life. Try everything that comes in the way to boost immune system in the smartest way possible.